Maker of sculpture and furniture, performance events and installation. Work represented in major Australian collections, including Parliament House Canberra, ANG and Australian War Memorial. Widely experienced as a teacher and mentor Gay offers wood-working classes for children and a Sheilas' Shed for women at Marion Bay, Tasmania. 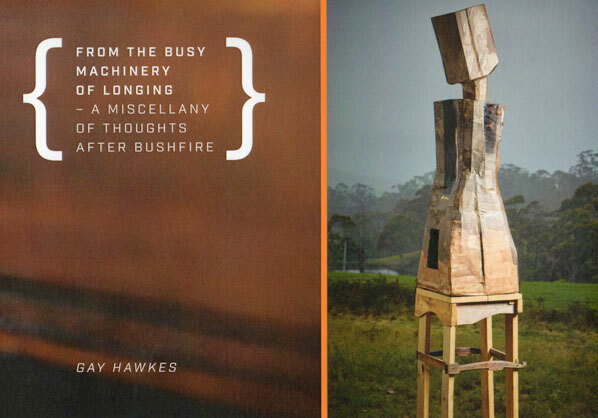 A Miscellany Of Thoughts After Bushfire booklet is available for $20 AUD. Contact by email for sales.